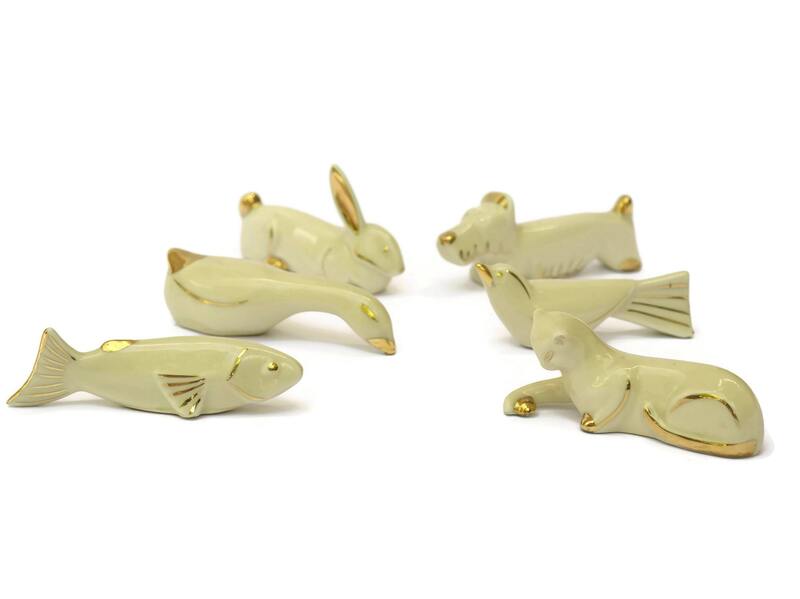 A delightful set of 6 Art Deco Animal figure knife rests dating to the 1930s. The set was manufactured from Limoges porcelain and has been glazed in a classic shade of cream with gold highlights. The figural porcelain animals include each of the following: cat, terrier dog, bird, fish, bunny rabbit and goose. 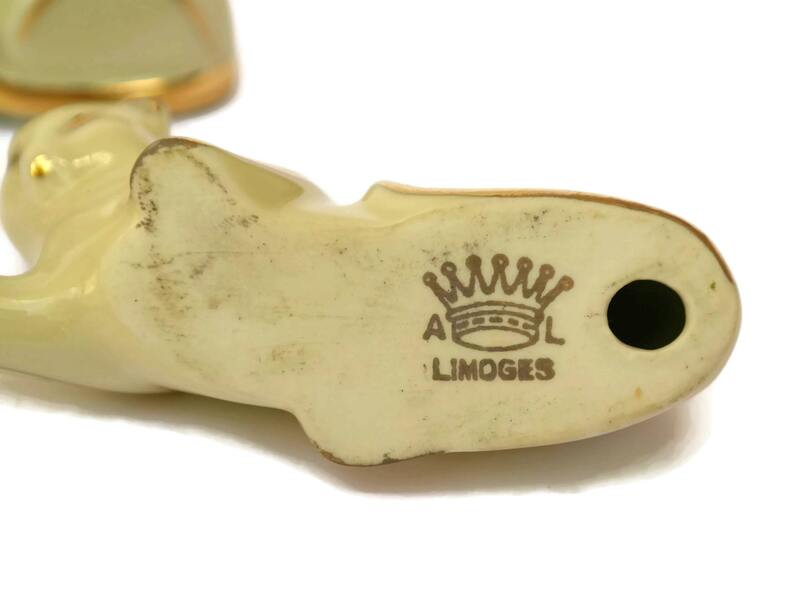 Each cutlery holder has been stamped on the underside with the Limoges manufacturer's mark. It would make a perfect bridal shower or anniversary gift. Approximately 4" Long and 2" High (10 cm x 5 cm). The set of 6 Art Deco knife rests is in very good condition with no chips or cracks.